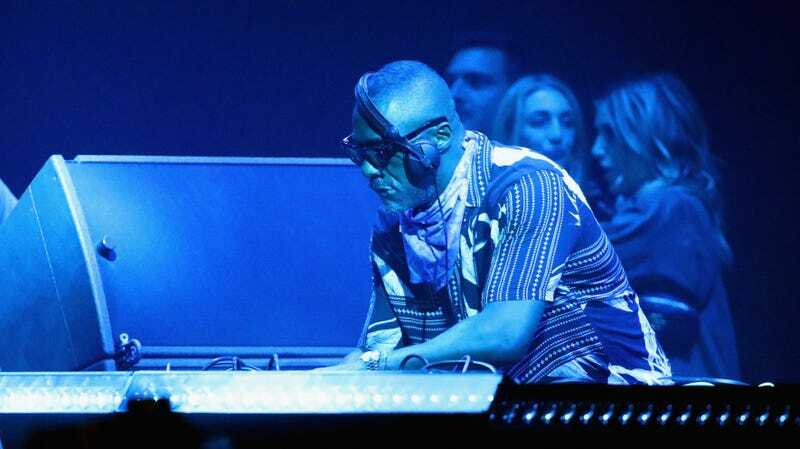 Idris Elba played a DJ on Netflix’s Turn Up Charlie, but the man wasn’t acting when he spun tracks at his very first Coachella this past weekend. According to a report by Vulture, the venue Elba performed in was packed to capacity for his two-hour set. And, according to that report, the demographic that filled the audience section defied categorization—ravers old and young were there for Elba’s spin on Inner City’s “Big Fun” and a “deep-house remix” of “Dub Be Good to Me” by Beats International. This isn’t new, though. Elba’s been making music since the early 2000s and has even performed at festivals, an NBA All Stars party in 2007, and Prince Harry’s and Meghan Markle’s wedding back in May. Still, performing at Coachella is big news for any musician, so Elba being able to bring his skills to the desert music festival was perhaps his biggest moment yet as a DJ. It’s a bummer, then, that his real life abilities didn’t really roll over to his Netflix show, where he starred as a struggling DJ and scored what are probably the worst reviews of his career. Like it or not, though, the Wire actor has proven he’s great live and can readily handle a beat-thirsty crowd. A good thing too, since he has some musical cat stuff to live up to. Sure, it’s unlikely they’ll bring turntables to Andrew Lloyd Weber’s classic, but his talents will be stacked alongside Taylor Swift, Jennifer Hudson, and James Corden in full-on cat costumes. Besides, paws area hard to spin with, we’d assume.